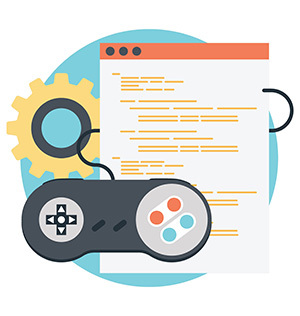 Students from the Rochester Institute of Technology (RIT) took the two top spots in the student developer category of the New York State Game Development Challenge. Sponsored by Empire State Development, the challenge asked students and independent game developers to submit ideas for games, prototypes, business plans, mentorship plans and development timelines. The competition was hosted by RIT's Center for Media, Arts, Games, Interaction and Creativity (MAGIC), a facility focused on fostering innovation, entrepreneurship and regional economic growth (and winner of a 2017 Campus Technology Impact Award). RIT teams took first and second place in the student category, with Aesthetician Labs winning 12,000 in development cash for its first-place finish and Team Odyssey taking home $8,000 for its second-place finish. Team Tunacat from Rensselaer Polytechnic Institute (RPI) won third place in the category and $5,000. Independent developer teams were also awarded equivalent cash prizes for the top three spots, and winners in both categories will receive inclusion in an on-site incubator and access to a mentor network in addition to their cash prizes. The cash and other pries are intended to assist in the development and eventual production of the games. "The challenge is an initiative supported by Empire State Development and created by RIT, which was recently named one of three Digital Gaming Hubs in New York state," according to a news release. "The objective for the Digital Gaming Hubs — which also include RPI and NYU — is to increase the economic impact to New York state by fostering innovation and creating collaborative activities that spur new games or companies as well as providing resources and mentoring to encourage students and entrepreneurs to enter the growing gaming industry. In addition, the gaming hubs will assist existing companies with gaming concepts, technologies and trends and host events focused on assisting the gaming community." "We are incredibly lucky to have such rich industry talent and network of support throughout the state," said Robert Mostyn, New York State Game Challenge administrator and Digital Games HUB Coordinator at RIT, in a prepared statement. "Together with our friends and partners we are working to put New York state on the national map of a great place to make games. And this challenge, and the developers that we are going to recognize today, are a very important part of this network — and we are excited to continue growing that today." "It was a pleasure to evaluate the submissions," said David Nathanielsz, one of nine judges on the challenge and general manager of Velan Studios, in a prepared statement. "The range of new ideas among the student entries was impressive. This category demonstrated the talent and creativity of students in our New York state colleges and universities. I can't wait to see how their games evolve and mature over the coming years as they continue to work and push our industry forward. I'm very excited because the future is bright for these students and our industry."